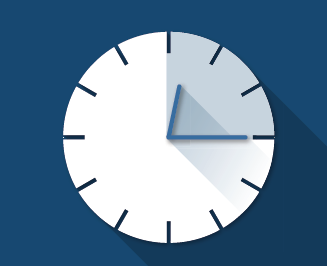 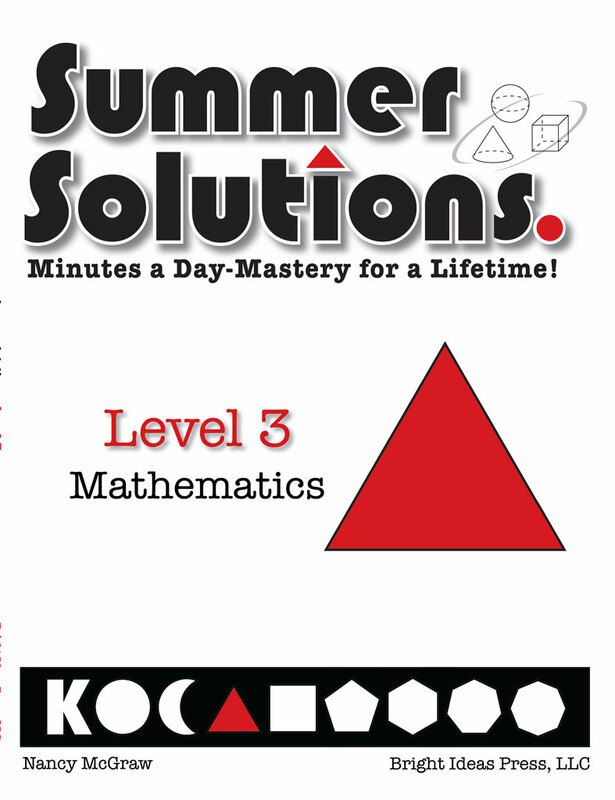 The Simple Solutions Approach–solid instruction, daily distributed practice, and ongoing assessment–is a proven strategy that promotes mastery and ensures long-term retention. Summer Solutions provides review and practice that allows students to retain important math and language arts skills, not only over the summer break but for a lifetime. 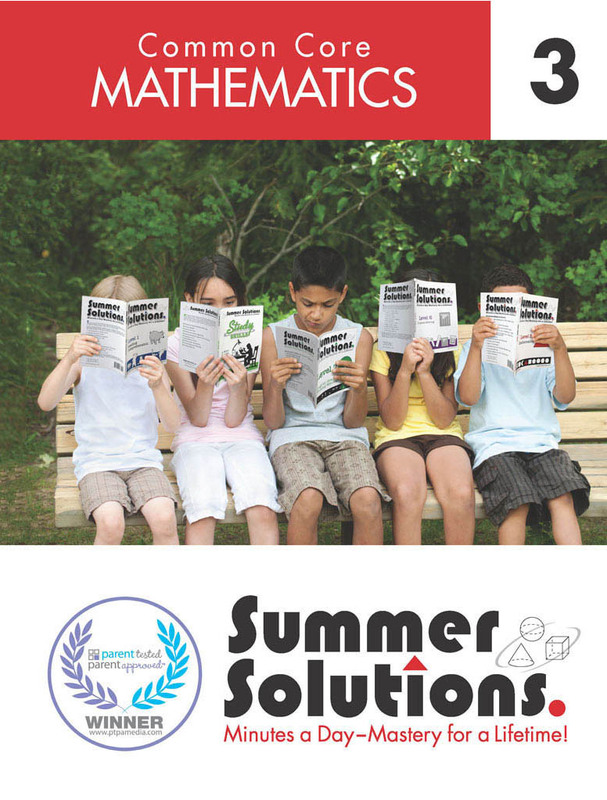 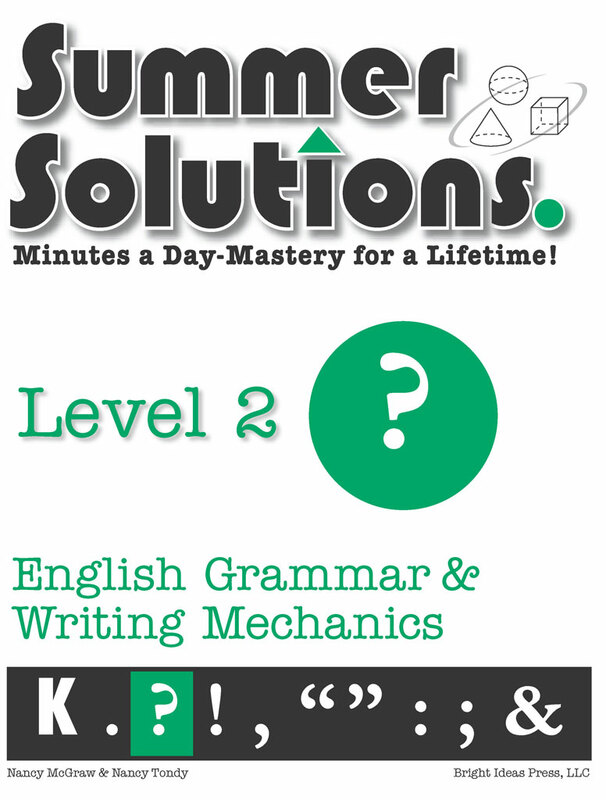 Summer Solutions is the perfect way to help students strengthen and retain math, reading, and language arts skills they learned in the previous grade. 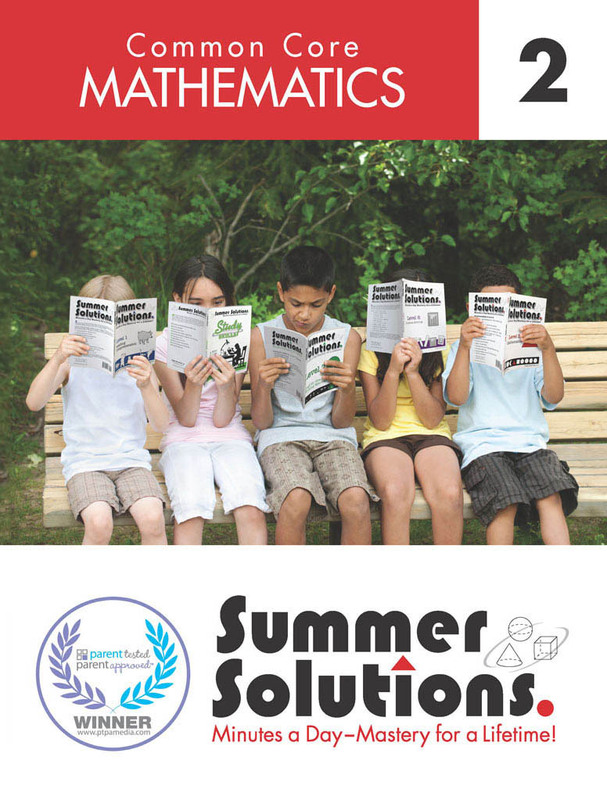 Math skills are the most at risk for “summer slide.” Summer Solutions Math books provide an easy and effective way for students to practice math facts and retain basic math concepts. 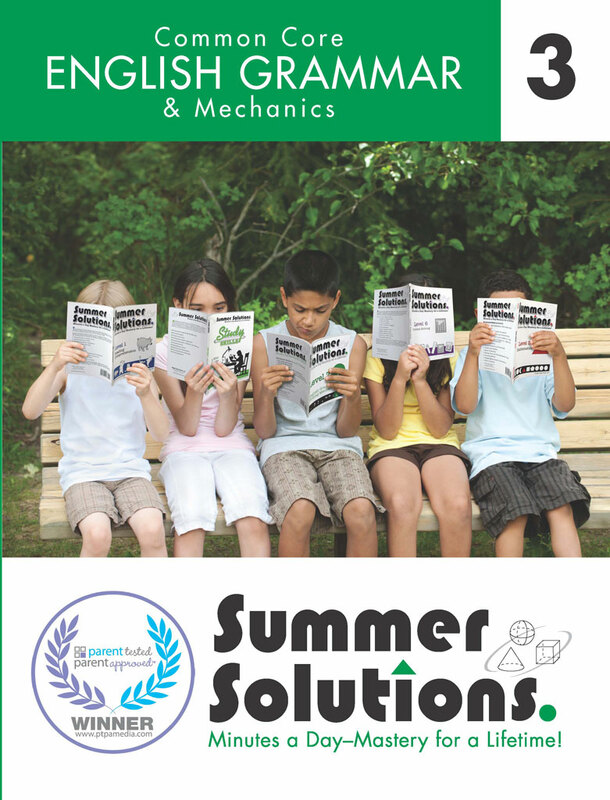 When paired with Summer Solutions Problem Solving books, students will also hone their critical thinking and problem-solving skills. 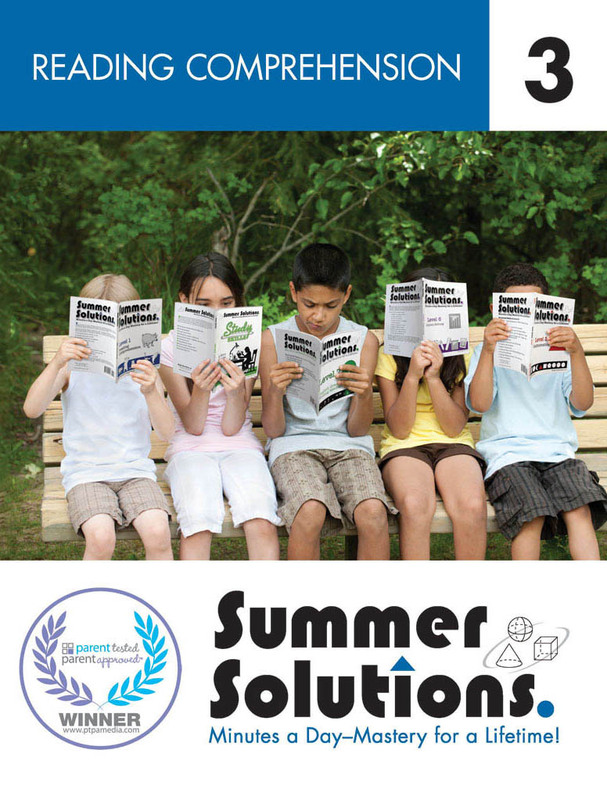 Summer Solutions English books sharpen sentence writing skills, along with important language skills, like parts of speech. 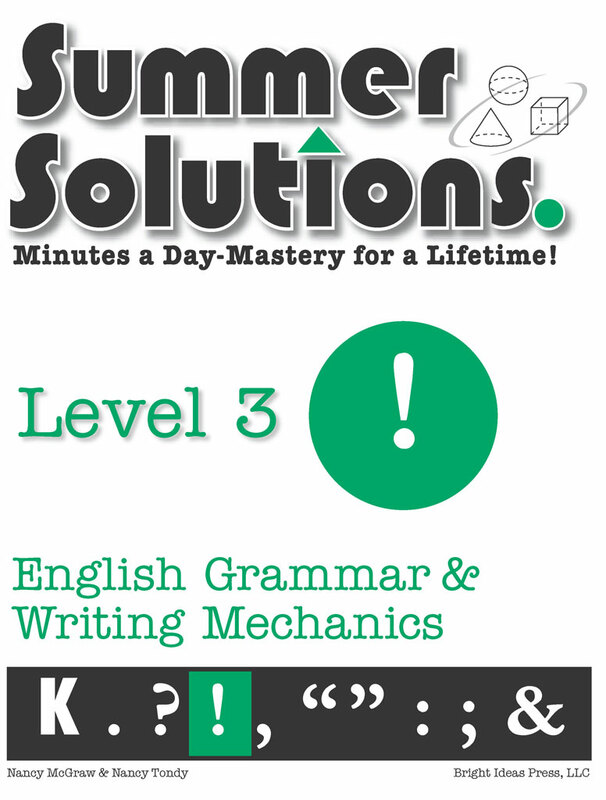 It also reviews capitalization, punctuation, and common spelling rules to help students write more effectively. 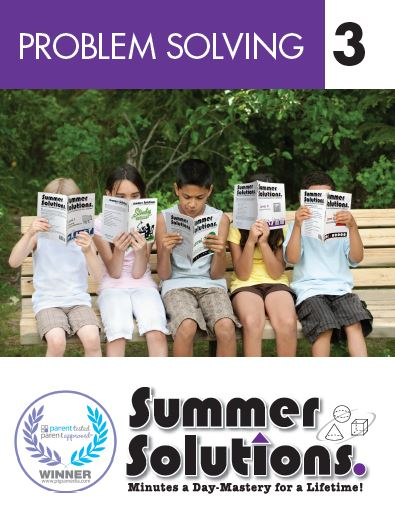 For more information on all the books we offer for Grades 2 and 3, please click on the links below. 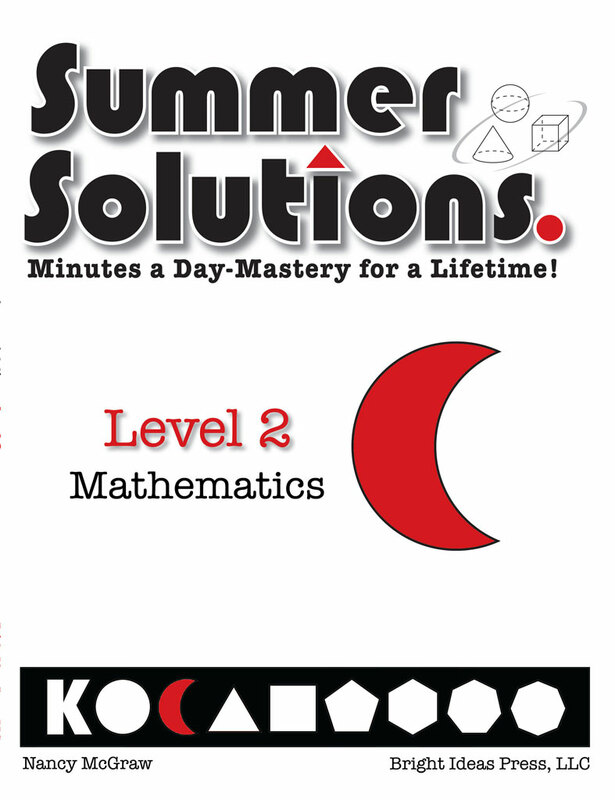 Designed for students finishing 2nd grade and entering 3rd grade. 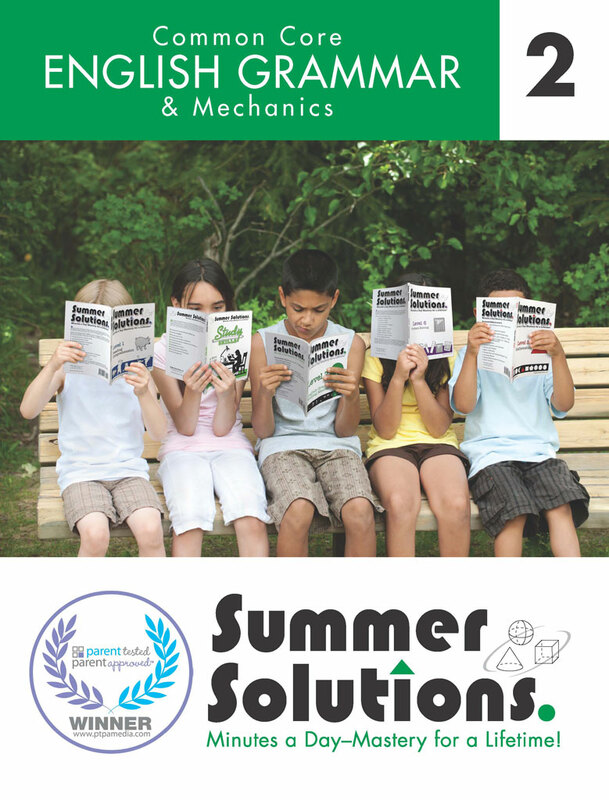 Designed for students finishing 3rd grade and entering 4th grade.